This engaging environmental history explores the rise, fall, and rebirth of one of the nation's most important urban public landscapes, and more significantly, the role public spaces play in shaping people's relationships with the natural world. 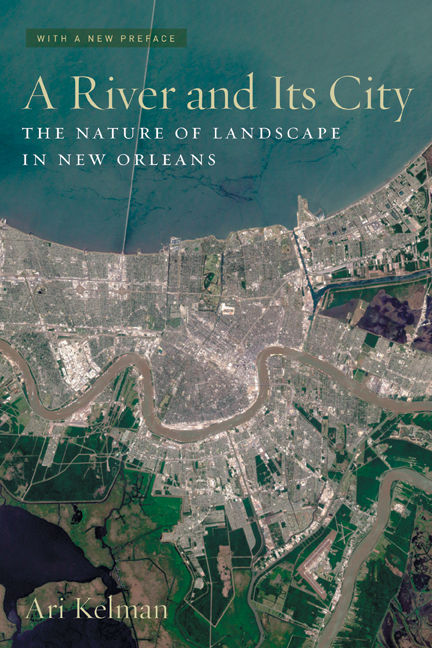 Ari Kelman focuses on the battles fought over New Orleans's waterfront, examining the link between a river and its city and tracking the conflict between public and private control of the river. He describes the impact of floods, disease, and changing technologies on New Orleans's interactions with the Mississippi. Considering how the city grew distant—culturally and spatially—from the river, this book argues that urban areas provide a rich source for understanding people's connections with nature, and in turn, nature's impact on human history. Ari Kelman is Associate Professor of History at the University of California, Davis.